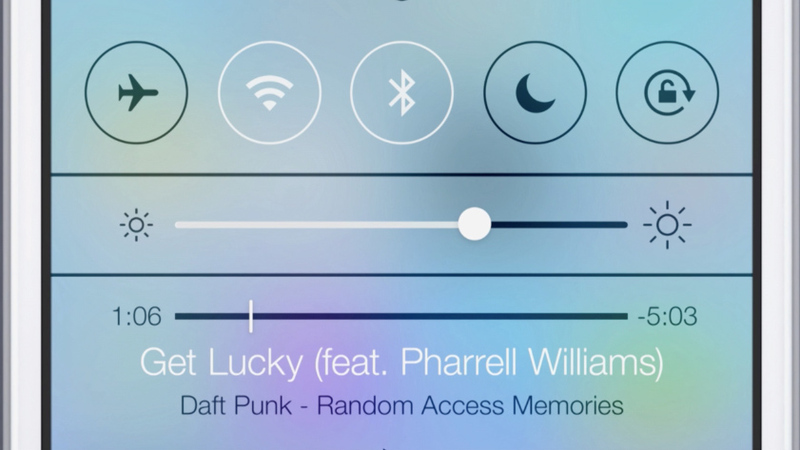 Control Center is a new feature for iOS 7, never seen before (unless you owned a jailbroken device). It resembles the SBSettings from Cydia, only it’s included in the actual OS, allowing you to enable or disable really fast the WiFi, 3G and other general settings. iOS 7 will feature a better system to achieve multiple tasks simultaneously and better background processing for every applications. Although I have owned an Android device before, I had always felt that iOS’s way of handling multiple running apps was better. With the new and improved multitasking feature, when an applications will issue a notifications, the iPhone will know when to reserve background processing for those applications in order to run faster and intuitive. 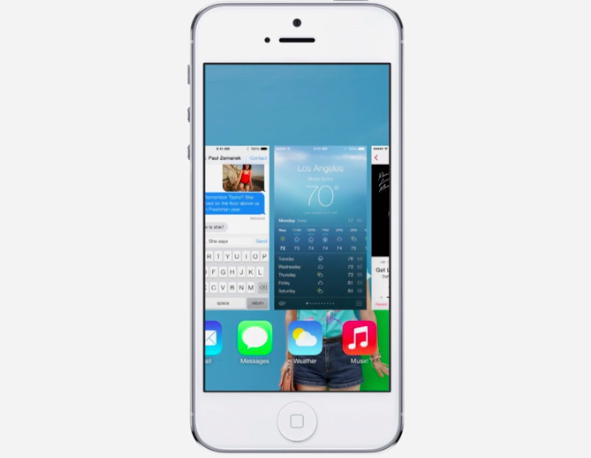 The Safari Browser for iOS 7 has a new design, resembling the Chrome Browser, including the tabs view. Another cool feature is the iCloud Keychain for password management. The unified search menu, which had been retired ever since iOS 3.0, returned. 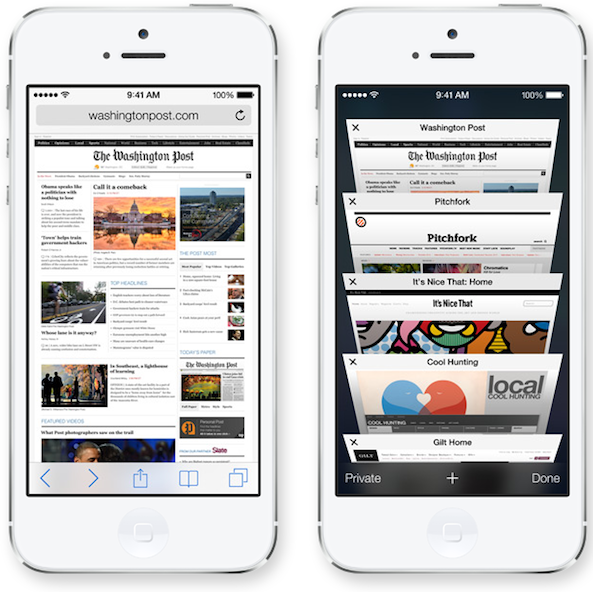 Another great function introduced in iOS 7 is the ability to order and remove tabs with just one “swipe”. The AirDrop function was encountered so far only in OSX (operating system for Mac computers and laptops), but starting with iOS 7, we’ll be able to use it from our smartphone or tablet: it allows users to share photos and files with another iOS users from all over the world. The AirDrop will only work on devices (iPhone 5, iPad fourth generation, iPad mini and the latest iPod touch) having the same iOS via a wireless connection. 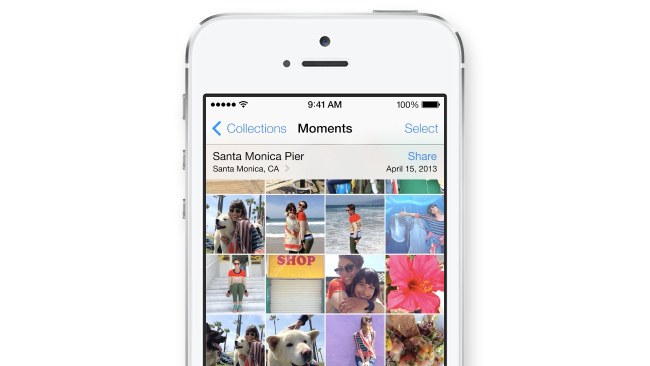 In iOS 7, the camera and photo apps has undergone a major overhaul. In the new operating system, it will be easier to manage a large number of photos, and users can share photos via Shared Photostreams. From a visual standpoint, the application looks just like the Flick website and it focuses less on layout photos in 4 x 4 icons and gives users a more enjoyable way to watch them. If you live in an area where the Internet connection is not that strong, you know that having a Facetime conversation with someone is a really pain. That’s why Apple decided to implement a new function: “Audio Only”. With this function on, you can have your Facetime conversation without the video part, so the app requires low broadband resources, making it perfect for low speed connections. 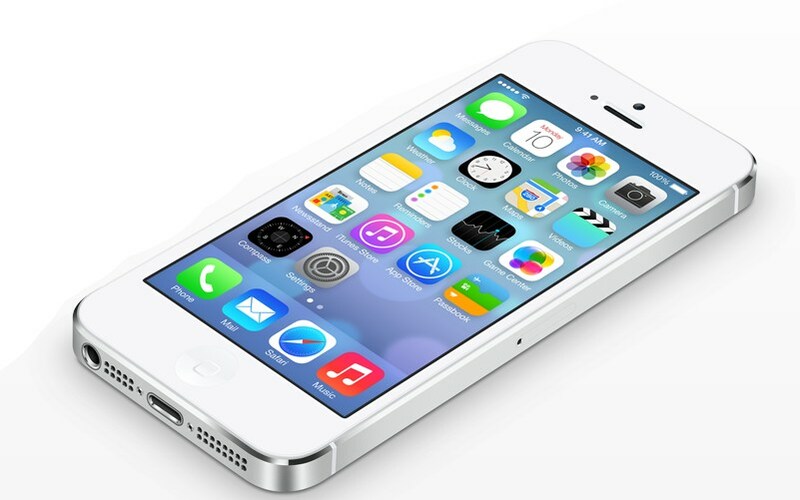 We love Siri, and on the new iOS 7 it features a new design and a new voice. Users can choose between male and female voices, and the Siri engine uses information extracted from Twitter, Wikipedia and Bing to provide pertinent answers to our questions. The place where we can download applications for our Apple devices just received a face lift. 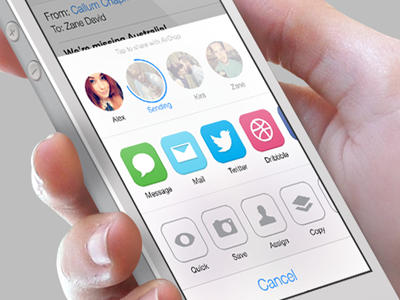 Now it is recommending popular applications based on user preferences and those that are popular among friends. In addition, applications will be updated automatically. The default music app was also redesigned, but the great feature that will probably get everyone’s attention is the iTunes Radio. 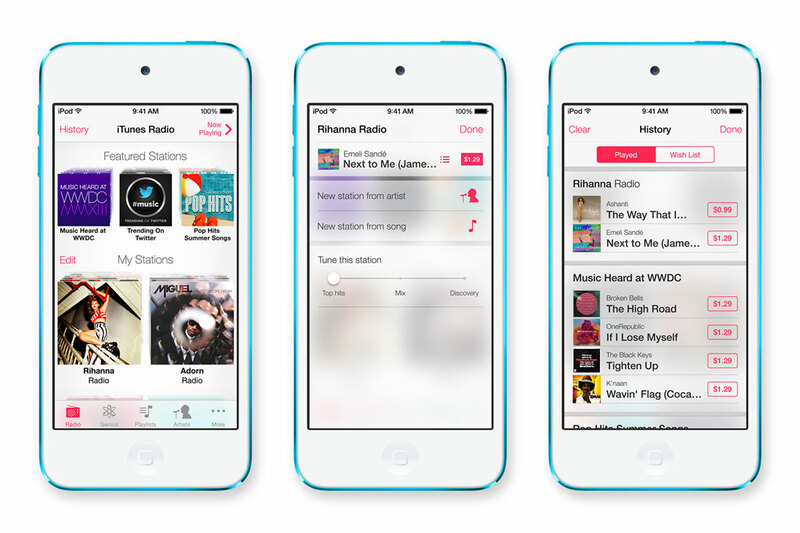 The iTunes Radio’s users can listen to the radio stations or grouped songs according to song genres or artists. Just like Last.fm, iTunes radio keeps track of all the songs heard on iTunes, Apple TV and iOS 7. Let’s face it, every Apple fan has a nightmare: having our iPhone stolen from us. 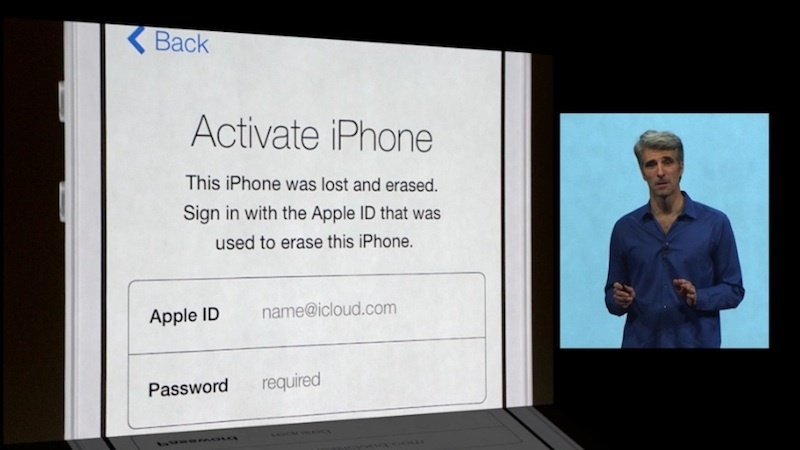 That’s why Apple decided to implement a new function called Activation Lock that prevents the iPhone’s activation on a different network without entering the password for iCloud. Check a quick video review of the new iOS.